In many ways, marketing your business to the Federal government is much like marketing to the private sector. One of your first steps should be to define your target market. 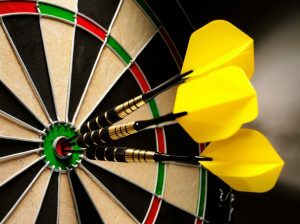 It is ineffective to simply state “the Federal Government” or “anyone interested in my service.” These targets are too general; you must be specific in order to focus your efforts and make the most of your government marketing budget. First, look at who your current customers are. Even if they are private sector customers, identifying who they are and why they buy from you will help you find those same types of customers in the public sector. Review What the Government Buys. Using the FPDS and USAspending websites, look at past contract awards within your industry. Which agencies buy your products or service the most? Who did they buy from? How often did they make purchases? You should also look at current contracting opportunities on FedBizOpps to see what the current demands are. Once you’ve identified the agencies that have a history of buying from your industry, check out their websites to find their future procurement goals and plans. Does it look like they’ll continue to buy your product or service? Is there a big project coming up that will require purchasing within your industry? Write down all the features and benefits of your company’s primary products and services. Consider what your current customers like about your company’s offerings and how these features can benefit a government client. What sets your company apart from your competition? Think about how you can modify your products and services to be more attractive to the agencies that buy from your industry. 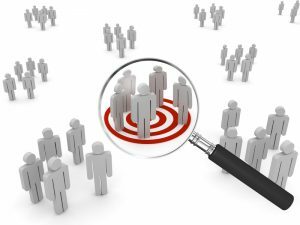 After you’ve defined your target market, your work has really just begun. In order to use that information effectively, you need to start building a relationship with those agencies. Contact and meet with contracting officers, follow up on bids to get feedback if your bid is rejected or you lose to another vendor, attend industry and contracting events so that buyers become familiar with you and your brand. Remember during your marketing efforts that your focus should never be on what these buyers can do for your business; you should always focus on how your capabilities and experience can help their agency meet its goals.